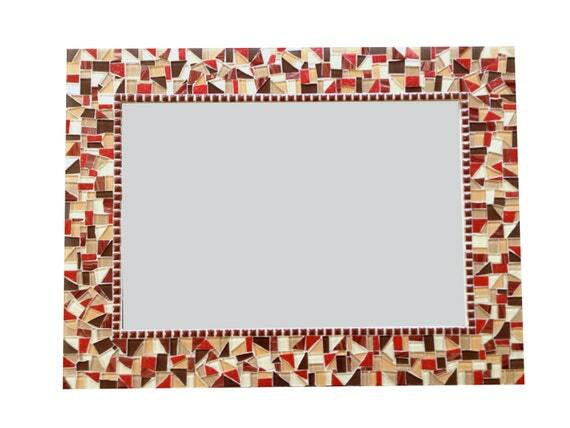 Decorative Wall Mirror - Mosaic mirror handmade using brown, beige, maroon and tan glass tiles. Perfect for any room in your home, this mirror in earth tones is created on a made to order basis - especially for you. Please allow up to three weeks to create and ship. Mosaic tiles used to create this rich earth tone mirror include rich browns, reds / crimsons, maroons, tans, and beiges.